Rosa Riera is responsible for Employer Branding and Social Innovation at Siemens AG. In her previous role, she was Director of Scientific Marketing and Marketing Operations in Siemens Healthcare Diagnostics. Before joining the Healthcare business, Rosa was the Program Manager for the Global Siemens Diversity Initiative where she was responsible for the implementation and communication of the global diversity strategy at Siemens. 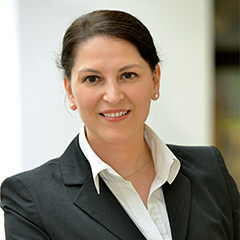 Rosa began her career at Siemens AG in Munich in the Corporate Communications department. Throughout her career she was based in Munich, New York City, Erlangen, and Marburg. Rosa holds an M.A. in Political Science. She is married and lives in Munich.